The ancient world was home to many accomplished astronomers, included the Greeks, Mayans, Polynesians, and maybe Stonehenge's mysterious builders. But perhaps more than 10,000 years before these cultures looked to the sky, Australian Aborigines were the world's first stargazers. In general, ancient astronomers used their knowledge of the stars for utilitarian purposes, such as timing the passage of seasons or navigating across great distance. Of course, even these strictly practical applications required extensive astronomical knowhow, with some specially trained ancients keeping star maps in their heads so detailed that only modern computers can really rival them. "We've established there is all this astronomy, what I don't know is how far back this goes. 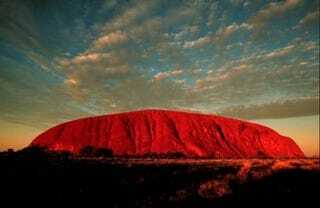 If it goes back 10,000 or 20,000 years, that makes (Aborigines) the world's first astronomers. We know there's lots of stories about the sky: songs, legends, myths. We wondered how much further does it go than that." "People were nomadic so when Pleiades (the Seven Sisters star cluster) was up they would move to where the nuts and berries are. Another sign and it would be time to move to the rivers to fish for barramundi, and so on. Clearly some thinker in the past has been sitting down in the bush, watching an eclipse and trying to figure out how it works. Those thoughts are then encoded in the songs and ceremonies. If you take a lunar eclipse, the story in Arnhem Land is it's the Sun Woman and Moon Man making love, and when they make love the body of one covers the other." Human habitation of Australia is thought to date back to between 42,000 and 48,000 years ago. Norris admits we can't definitively date when Aborigines first gained this astronomical knowledge, and we won't know until we can find some material evidence that provides a concrete date. He's hopeful ancient depictions or rock carvings of celestial phenomena like a meteor shower or comet might provide just such a date.